Conservation Evidence is a free, authoritative resource designed to support decisions on maintaining and restoring global biodiversity. They summarise evidence from the scientific literature about the effects of conservation interventions, such as methods of habitat or species management. Conservation Evidence make the summaries freely available on their website, allowing conservation practitioners to search for and find relevant information quickly and easily. 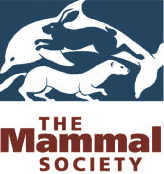 The Mammal Society advocates science-led mammal conservation, leading efforts to collect and share information on mammals, encourage research to learn more about their ecology and distribution, and contribute meaningfully to their conservation. Help The Mammal Society develop their National Atlas of Mammals by submitting your mammal sightings here. Bat Conservation Trust is the leading NGO solely devoted to the conservation of bats and the landscapes on which they rely. Their diverse range of work helps secure the future of bats in our changing world. Become a member of BCT, join your local bat group or submit bat records and sightings. BatLife Europe is an international NGO built from a partnership of national bat conservation organisations that are committed to promoting the conservation of all bat species and their habitats throughout Europe. BatLife Europe was launched in 2011 and we are one of 17 partner organisations. People’s Trust for Endangered Species We protect wildlife in Britain and around the world by bringing our most threatened species back from the brink of extinction. Help PTES by contributing to one of their surveys or projects. Scottish Wildcat Action is the official wildcat conservation project delivering a national action plan to save the Scottish wildcat. Scottish wildcats are now one of our most endangered mammals and are on the edge of extinction. The Wildlife Trusts are the largest UK voluntary organisation dedicated to protecting wildlife and wild places everywhere. There are 47 individual Wildlife Trusts covering the whole of the UK and the Isle of Man and Alderney. Every county has a Wildlife Trust. Find your local Trust here. 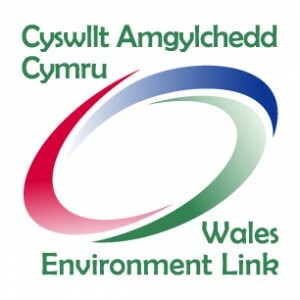 Wales Environment Link (WEL) is the umbrella body for environmental and countryside non-governmental organisations in Wales. They are a busy network, active in a range of policy areas, and the official link between the Welsh Government and Wales’ environmental NGO sector.